You can’t please everybody all the time, and yet this is one principle that actually has the potential to make jukebox hire even more successful. 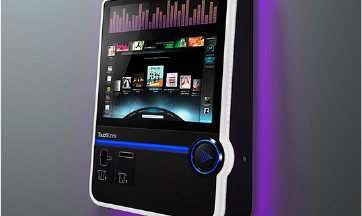 When you choose the music to play in your venue, you run the risk of repelling anyone who doesn’t share your personal taste; but when you provide a jukebox and let customers choose their own songs, the same does not apply. Instead, there are unspoken rules of jukebox etiquette, as observed by Peninsula Pulse columnist, Alyssa Skiba. But while the management’s music choices might repel customers, when there’s a jukebox, there’s a chance to strike back! “There are very real consequences to poor jukebox etiquette – it’s called jukebox warfare,” Ms Skiba explains. It’s a win-win situation for jukebox hire – either the etiquette holds and everybody is kept happy, or jukebox warfare erupts and the coin slot sees even more service.